Lumito’s partner, TTP, has now developed the second-generation concept prototype. It is characterised by better optics, which even for a layman, show a great improvement in image quality when compared to the first-generation concept prototype images presented before Christmas. The experience gained from the first-generation prototype phase, made it possible to assemble the second-generation prototype within just a few weeks. The second-generation prototype is characterised by a different illumination configuration, known in the field of microscopy as “epi-fluorescence”. 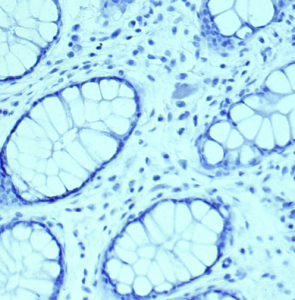 The concept study microscope slides, prepared from formalin-fixed and paraffin-embedded human intestinal tissue material, that was cut and stained by BioIVT, were evaluated in the new prototype. The new images show clear improvement in sharpness and colour reproduction. Details about the concept study can be found here. 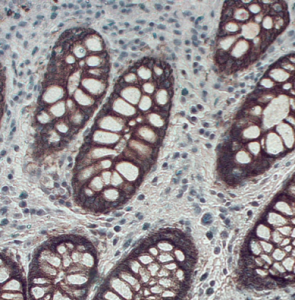 Figure 1 shows tissue stained with pan-cytokeratin specific antibody and visualised with DAB, giving the expected brown colour in and around the epithelial cells of the mucosa. It is a high-quality DAB staining. Figure 2 shows a brightfield image of the tissue stained with haematoxylin. Figure 1. 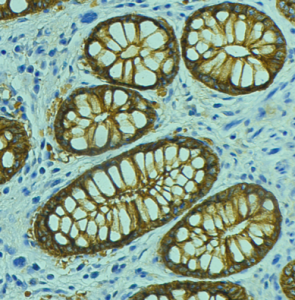 Brightfield image with haematoxylin stained cell nuclei (blue/green) and epithelial cells stained with cytokeratin (brown DAB chromogen). The images were taken with the first-generation concept prototype (left) and the second-generation prototype (right) respectively. Figure 2. 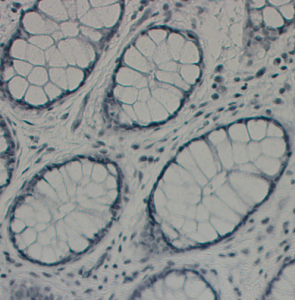 Brightfield image of the human intestinal tissue stained with haematoxylin. The images were taken with the concept prototype (left) and the second-generation prototype (right) respectively. Lumito is specialised in research and development of imaging technologies for medical applications. The technology is based on so called UCNP:s (Up Converting Nano Particles) and is aiming to increase image quality in biomedical applications. Lumito´s IPR covers, with UCNP:s as markers, imaging with high quality of for instance tissue samples. The technology has several possible application areas and Lumito has firstly focused on digital pathology. Lumito has an agreement regarding development of instrument and staining kits with TTP plc (The Technology Partnership) in Cambridge UK. Lumito shares LUMITO MTF and warrants LUMITO MTF TO1 are traded at the marketplace NGM Nordic MTF. TTP is an independent technology company where scientists and engineers collaborate to invent, design and develop new products and technologies. With a 30-year history of invention, our multidisciplinary teams are able to deliver across the scope of a project, from research through to ideas, design, engineering and manufacture. TTP’s state-of-the-art technical facilities are part of Europe’s largest technology hub in Cambridge, UK. Here, we work across a wide spectrum of industries – including health, telecoms, industrials and consumer – to create breakthrough solutions that bring strong commercial value to clients and the benefits of technology to all. BioIVT, formerly BioreclamationIVT, is a leading global provider of research models and value-added research services for drug discovery and development. We specialize in control and disease-state biospecimens including human and animal tissues, cell products, blood, and other biofluids. Our unmatched portfolio of clinical specimens directly supports precision medicine research and the effort to improve patient outcomes by coupling comprehensive clinical data with donor samples. Our PHASEZERO® Research Services team works collaboratively with clients to provide target and biomarker validation, phenotypic assays to characterize novel therapeutics, clinical assay development and in vitro hepatic modeling solutions. And as the premier supplier of ADME-toxicology model systems, including hepatocytes and subcellular fractions, BioIVT enables scientists to better understand the pharmacokinetics and drug metabolism of newly-discovered compounds and their effects on disease processes. By combining our technical expertise, exceptional customer service, and unparalleled access to biological specimens, BioIVT serves the research community as a trusted partner in elevating science. For more information, please visit www.bioivt.com or follow the company on Twitter @BioIVT.